Some designers are starting to emerge as favorites in the royal's wardrobe choices. 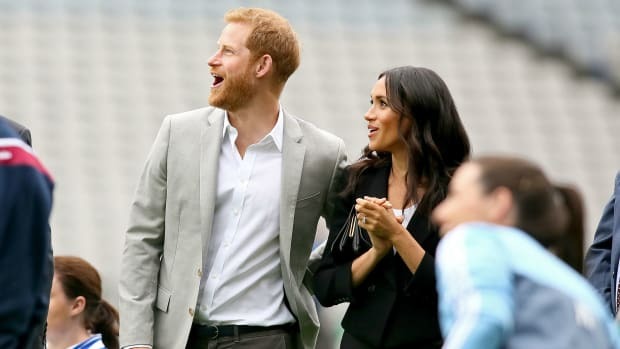 Ever since announcing her engagement to Prince Harry, the world&apos;s eyes have been fixed on Meghan Markle — and her style. We&apos;ll be following the Meghan Markle Effect™ with our column, "Meghan Markle Wore a Thing." If Meghan Markle&apos;s flowy Oscar de la Renta dress from this past weekend had you thinking that the royal was about to enter a heavily boho-influenced sartorial stage, think again. 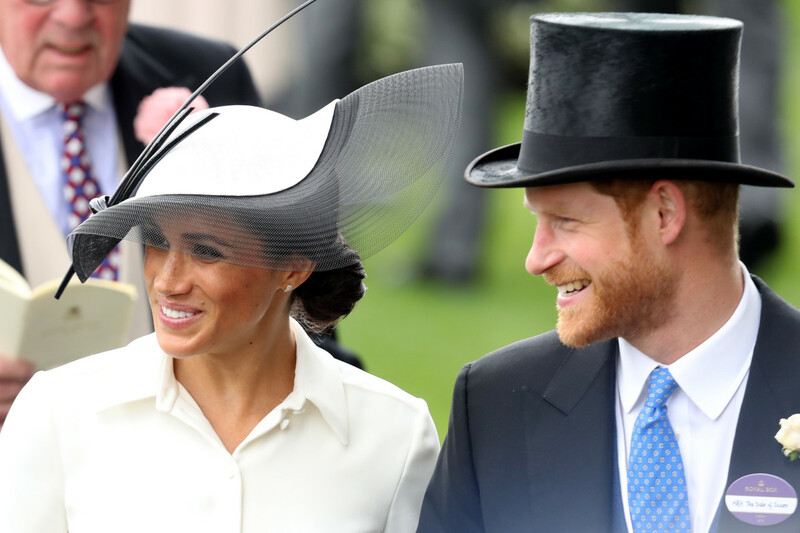 On Tuesday, the Duchess of Sussex was back in prim-seeming garb for her first outing to the Royal Ascot. Her dress was a button-up white Givenchy number with an A-line silhouette, asymmetrical hem and a black belt at the waist, cinched over subtle embroidery. 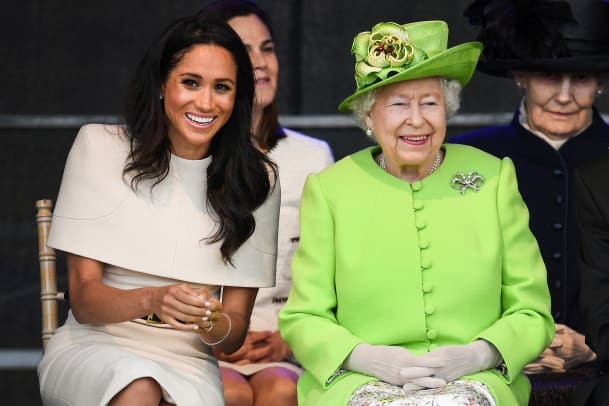 Notably, this is the same designer she chose for both her wedding ceremony dress and the dress worn to her first royal engagement with Queen Elizabeth. Looks like Clare Waight Keller has found a powerful fan in her new post at the house of Givenchy. 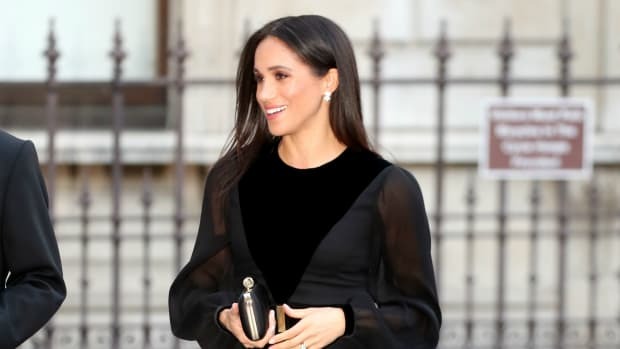 The Duchess accessorized the look with a swooping black-and-white Philip Treacy hat (making him another repeat favorite), black pointy-toed heels and a Givenchy clutch. Prince Harry accompanied her in a statement-making ensemble of his own, wearing pinstriped pants, a coat with tails, a vest and a top hat. Proof that baby bumps don't necessarily require flowy dresses. 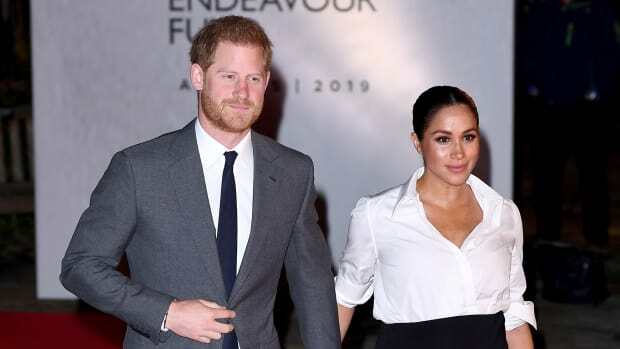 The Duchess of Sussex made her first solo appearance in her go-to designer. To very animatedly watch some sports at a park in Dublin. 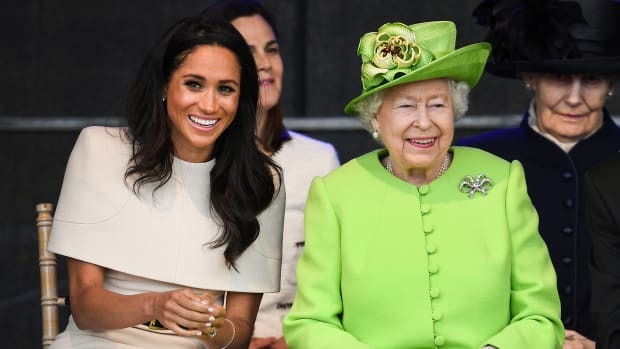 The Duchess of Sussex attended her first royal engagement with Queen Elizabeth.